Hangs approximately 12" wide by 25" tall. Elephant measures 5" wide by 4" tall. 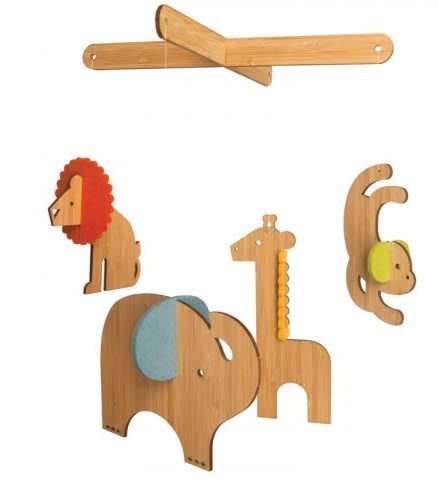 Comes with four bamboo animals with colorful felt accents, hanging cross bar, and clear thread.